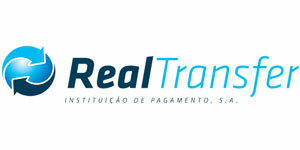 RealTransfer– Institutição de Pagamento, S.A. is a financial institution authorized by the Bank of Portugal, which has been operating in the currency exchange and money transfer market since 2008. With the immigrant community in mind, RealTransfer has a branch network that extends from the north to the south of Portugal, covering the districts of Porto, Coimbra, Lisbon and Faro (branches) and Angola, as well as a correspondent network that extends into Africa, Europe, Latin America and beyond. RealTransfer allows its customers to send money quickly, safely and efficiently, providing top quality services and great value for the money. Its activity is conducted through licensed banks and duly certified money transfer companies. RealTransfer also pays, in Portugal, transfers from third countries forwarded by our partners Sigue, Sebi Express, Money Exchange and others.